Despite the important role of the ACA in securing access to maternity care, conservatives in Congress have pushed to undo the law’s most critical protections for women, particularly protections concerning personal decisions about when and if to start a family. Although the proposals have differed, they share a common theme—they would have devastating consequences for black women’s maternal health. On May 4, 2017, the House of Representatives passed the American Health Care Act (AHCA), a bill that would repeal and replace key provisions of the ACA.4 The Congressional Budget Office (CBO) estimates that 23 million more people would lose insurance coverage in the next 10 years under the AHCA. 5 The Senate then released its own version of a repeal and replace bill, the Better Care Reconciliation Act (BCRA), which was last revised and released on July 20, 2017.6 The CBO estimates that 22 million more people would become uninsured in the next 10 years under the BCRA.7 The Obamacare Repeal Reconciliation Act of 2017 is another bill introduced in the Senate on July 19, 2017, that would repeal the ACA completely with no immediate replacement.8 The CBO estimates that 32 million more people would become uninsured in the next 10 years if the Senate were to only repeal the ACA.9 Finally, just days ago, the Senate failed to pass a so-called “skinny” ACA repeal bill that would have resulted in 16 million people losing health insurance in the next 10 years as well as an increase in insurance premium costs by 20 percent.10 The skinny bill would have repealed the individual and employer mandates as well as the medical device tax.11 And just hours before being voted down on the Senate floor, a provision to defund Planned Parenthood was also added to the legislation. Many proponents of the skinny bill did not consider the proposal to be a preferred or viable option. Rather, the bill was a last-ditch effort to identify any measure that could garner 51 votes so that it could be sent forward to a House-Senate conference committee for further reworking. Federal law requires Medicaid to provide maternity care to enrollees. It is a vital program for many women of reproductive age and covers more than half of the births in the United States.22 Unfortunately, black and Hispanic women are more likely to be low-income and reliant on Medicaid—approximately one-third (30 percent) of Medicaid enrollees are black, and one-quarter (27 percent) are Hispanic.23 In addition, the uninsured rate for black women dropped by 40 percent since the ACA was implemented, and that was largely due to the expansion of Medicaid.24 Drastic funding cuts and ending Medicaid expansion will disproportionately impact women of color, particularly black and Hispanic women. Many of these women will find themselves without comprehensive reproductive care, maternity care, and preventive health care, which are imperative for better maternal health outcomes. The AHCA and BCRA would also allow states to impose work requirements on Medicaid recipients, with certain exceptions, such as an exception for new mothers during the first 60 days postpartum. But following that 60 day period, a state could then choose to condition continued Medicaid coverage on a new mother finding work or meeting another exception, such as attending school.25 Requiring new mothers to return to work within 60 days postpartum is inhumane and could negatively affect the health of both mom and infant. The decision on when to return to work should be left to a woman, in consultation with her family and doctor. The postpartum period is a vulnerable time regarding the onset of stress, depression, and anxiety for new mothers. Depression is most likely to be experienced by low-income mothers.26 The postpartum period is also a vulnerable time for infants in their adjustment to a new environment, including the need to bond with the mother. Approximately 40 million women rely on Medicaid for health care coverage—12.9 million of which are women of reproductive age.27 According to the Center on Budget and Policy Priorities, any funding cuts to the Medicaid program or ending Medicaid expansion would have a disproportionate effect on women as they make up the majority of enrollees. Women of color are more likely to be enrolled in Medicaid than white women.28 Medicaid plays a vital role in covering maternity care and reproductive health services. Seventy-five percent of all publicly funded family planning services are paid for by Medicaid, including contraceptive supplies and counseling; testing and treatment of sexually transmitted infections (STIs); domestic violence screenings; and breast and cervical cancer screenings. Women are not subject to any cost-sharing for these services. Maternity care coverage can help increase the likelihood of a healthy pregnancy and infant. 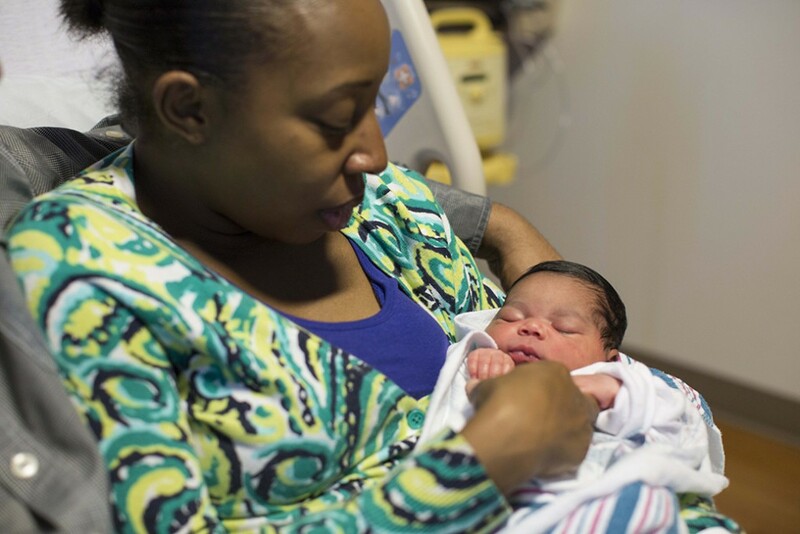 Not only does the Medicaid program cover women’s health care throughout the span of pregnancy, but it also covers their newborns through the first year of life. Pregnant women with incomes at 133 percent of the federal poverty line are eligible for Medicaid coverage. In Medicaid expansion states, pregnant women with incomes up to at least 200 percent of the federal poverty line are eligible. Pregnant women are covered with both pre- and postnatal care. This includes supports for breastfeeding, education and counseling, infant care, treatment for substance abuse, and support for maternal depression and other mental health services as needed. The AHCA and BCRA would have undermined the EHB mandate by giving states the option to cover these benefits. The CBO projected that many of the states that mandated fewer benefits in the past would have exercised this option.34 With the average uncomplicated birth costing $30,000 to $50,000, low- to middle-income women who do not qualify for Medicaid would experience significant hardship if they live in states where maternity services are not mandated, particularly if their pregnancy is high risk.35 Also, under the ACA, insurers are prohibited from imposing lifetime or annual limits on the amount of coverage for EHBs. These protections would have been eliminated under House and Senate repeal bills. While women purchasing insurance in the individual market could seek supplemental maternity coverage, as they did before the ACA, the CBO estimates costs to be upwards of $1,000 a month.36 For women who cannot afford this cost, insurers might offer a lower-cost rider with “less-than-comprehensive” coverage.37 Both types of riders would result in significant out-of-pocket costs for pregnant women and, therefore, would not be an option for low-income women and women of color who do not qualify for Medicaid or have employer-sponsored insurance. These women would be crushed by projected rising premium costs and large deductibles.38 As a result, women will be more at risk of experiencing adverse maternal health outcomes, and, for black women especially, dying as a result of a pregnancy will become an unfortunate and preventable reality. The ACA has helped revolutionize access to affordable maternity care coverage and other women’s health services. In turn, millions of women have been able to gain health insurance coverage, lead healthy lives, and attain economic security for themselves and their families. While currently stymied, House and Senate repeal plans endanger the progress made to help more Americans get insured. And with black women and other women of color having benefited from maternity care coverage, coverage losses due to the rise in costs for premiums, the gutting of Medicaid, or the elimination of maternity care as an EHB would have a detrimental effect on women of color and their families. Maternity care and other reproductive health services have been vital to helping these communities experience better maternal health outcomes. Although Senate efforts to pass an ACA repeal bill have proved unsuccessful to date, the future of the ACA still hangs in the balance. For now, the ACA is still the law of the land. It is past time for Congress to put the American people over politics and work together to ensure that we do not go back to a time where health care coverage was deemed a privilege instead of treated as a right. Christy M. Gamble is the director of health policy and legislative affairs at the Black Women’s Health Imperative. Jamila Taylor is a senior fellow at the Center for American Progress.